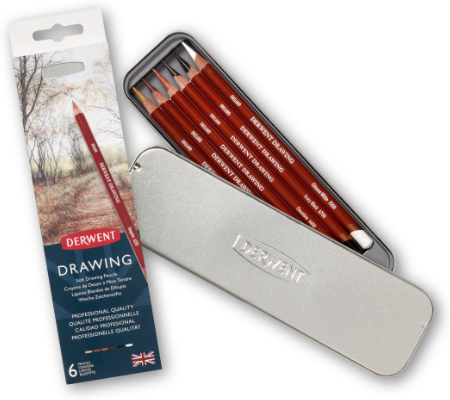 Derwent Artists Colour Pencils are a wide core pencil which provides broad strokes for expressive drawing. 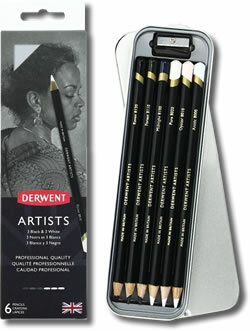 They have a slightly waxy texture that allows excellent blending and layering. Available in a huge range of 120 rich and beautiful colours. 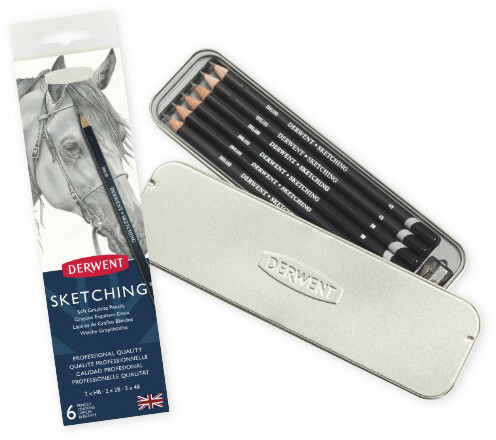 This neat little tin holds 3 x White (Oyster, Arctic & Pure) and 3 x Black (Raven, Midnight & Forest) pencils from Derwent Artists range. These pencils do not appear in the singles range.